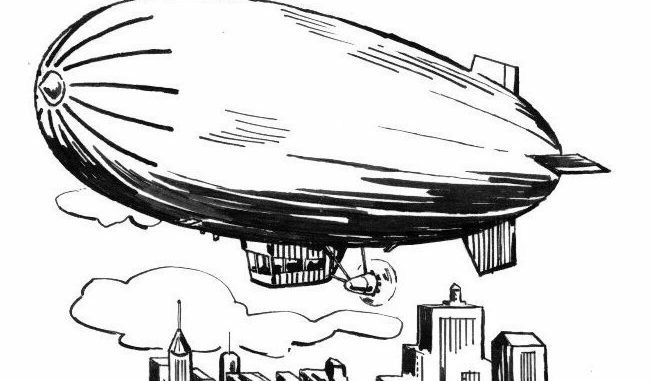 Campus on a Blimp — Hopes are HIGH with Launching of Dirigible! Earlier this week, the Albion College Board of Trustees announced the sale of Albion’s campus in order to begin a new chapter in Albion’s existence. And build they shall. Albion College has begun to garner money for their most grandiose adventure of all time, but the administration is trying a new method for fundraising. “Just selling the campus alone would never be enough money to fund an airship of this size,” said Scrooge McDuck, chairman of the blimp’s fundraising committee. McDuck added that there was an attempt to burn down the equestrian center and collect on the insurance, but later corrected himself claiming he was just horsing around. By sending out groups of two, three or four faculty members at a time, Albion has begun to scour the countryside of Michigan for banks and safes with lax security. And, if the current trend of money thieving continues, one might assume it’s working quite well. As money for construction material has begun to pour in, students are now allowed to donate no less than 10 hours of forced, manual labor a day to building the blimp. The gigantic purple and gold balloon can be seen in the middle of the quad—with The Rock being used as an anchor, of course—and the finished project expected to be able to house every student and faculty member on campus. Albion’s Admission Office is incredibly excited about the adjustment, too. Photo provided by Pearson Scott Foresman, Wikimedia Commons.